Finding the best dog beds for chewers is a bit more difficult than choosing bedding for a relatively mellow dog! You need something that can really hold its own against your canine’s pointy canines! While there’s no such thing as a 100% indestructible bed, there are a few that can handle almost anything your dog throws at them! Today, we’ll tell you how to choose the best dog beds for chewers, plus check out our top picks across different categories! Use the table of contents to guide you! How to Find the Right Dog Bed for Chewers? Before we go any further, you need to understand one thing: there is no such thing as a completely chew-proof bed. While all of the beds on this list are highly chew-resistant, in theory a super aggressive chewer could manage to destroy even the toughest material. I’ve even seen dogs chew through rocks! That means that there is no such thing as an indestructible dog bed. That said, some materials are just a lot harder or less enjoyable for dogs to chew through, meaning their more likely to give up and move on to something that they can really sink their teeth into! Depending on the quality of the bed and your dog’s tenacity to chew through it, some beds will last you a lifetime. Others won’t. Over time, you may see some deterioration even with these chew proof beds. However, they can withstand a lot more than those that aren’t chew proof. That is why I will present you with some of the best, most durable options, which is the most you can hope if you have a persistent chewer for a dog. When you look for a chew proof dog bed, there are a few things you need to pay attention to in order to find the best option for your pooch. As with regular beds, the first thing to keep in mind is the size of the bed. The size of the bed should correspond to the size of your dog but also with the space that your dog likes to take up. For example, some large dogs don’t like to be spread out completely, while some small dogs like to have a lot of space. When you consider the material used to make a bed, you need to consider both the outer and inner material. Some of the best materials used for the general construction of beds for chewers include ballistic nylon, canvas and denim since they are usually not that interesting for dogs to chew on. As far as inner materials go, it is only important to choose the option that will make your pooch the most comfortable. It will also depend on your dog’s needs. For example, if you have an older dog, choosing a bed with memory foam is the best way to go. Of course, the price of the bed is one more factor to consider, especially if you are on a budget. Don’t go spending your savings on a dog bed since there are many affordable options that are similar to quality to some more expensive items. Do your research online and read this article to find those options. When you shop for a dog bed, waterproof options are a good choice. You should also look for other useful features like odor repellent or fade resistant options. Pay attention to the way you can clean the bed; you want the simplest option that will take the least of your time. Beds without zippers or with hidden zippers are a particularly good choice for chewers since dogs will often find the zipper to be very interesting to gnaw on. Now, let’s check out our picks for the best chew-proof dog beds! We’ve broken this list down into five different categories, but you can see all of the beds at a glance in this table, along with the top pro and con for each bed. Check out the detailed tables under each section for more pros and cons at a glance, as well as the complete listings for all of the features for each bed! Weather-resistant beds can save you a lot of time and effort since you won’t have to clean up after accidents. You also don’t have to worry about the bed getting ruined if you leave it outside during a rain storm. While we covered the best waterproof dog beds in more detail in the past, you might want to consider these if your dog is a chewer. This bed is filled with mattress foam, which makes it extremely comfortable for your pooch. It is an especially good choice for dogs with orthopedic problems like arthritis or osteoporosis. This cushioned plush bolster will make your pooch fall in love with this bed quickly. Friends Forever Dog Lounge comes in three sizes and two colors, although it isn’t very trendy or stylish. It has a waterproof liner to prevent moisture from getting in touch with the bed. The zipper, however, is not as durable as you would expect but the bed itself is chew proof. You can easily clean the cover since it is machine-washable. The rest of the bed is also easy to maintain since it is fur and hair resistant. This bed comes with a non-slip bottom as well, although it is a bit thin. As far as the price goes, it is somewhere in the middle of our list, not really expensive, but not cheap as well. This is another bed that is both orthopedic and waterproof, which is a great combination to have. 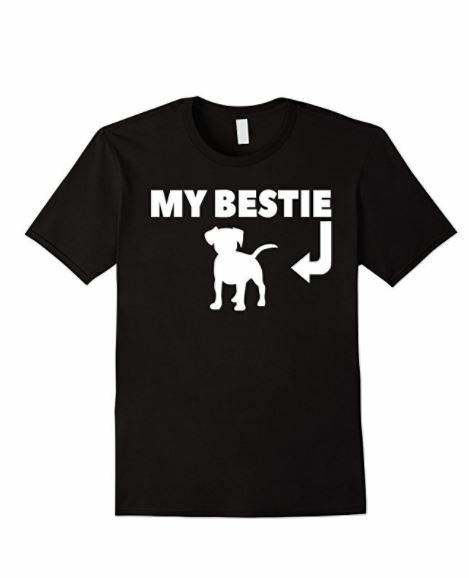 It comes in many sizes to fit that fit the needs of most dog owners. The Dog’s Premium Bed is very durable since it has a protective inner side that is waterproof. The outer side is made of durable suede fabric, which is also hypoallergenic. The bed itself is stuffed with premium grade orthopedic memory foam, which is very comfortable. This bed, however, is very plain looking. It is basically just a mattress, so it doesn’t score high on the appearance scale. It is also available in only one color. You should wash the protective inner side and cover separately. They are machine washable, although you should wash them on a gentle wash cycle. 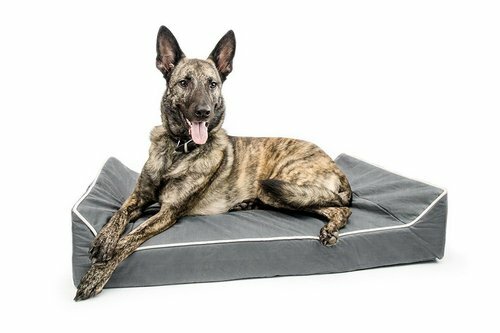 Brindle Dog Bed is made of memory foam to make your pooch comfortable and help with any joint pain or arthritis if that is needed. It comes with a soft but durable cover that is machine washable and a non-slip bottom. In addition to this, there is a waterproof layer that protects memory foam from any moisture whatsoever. This durable bed comes in three sizes that cover most dog breeds and it also comes in three colors. It is not the prettiest bed since it is basically just a mattress, but it is very affordable on the other hand. This bed is pretty tough, so you might use it outdoors as well. While these chew-proof beds are great for outdoor use, sometimes you want something that strikes a balance between weather-proofing and style. These next beds do just that! Some beds are made to withstand elements and that makes them great for outdoor use. Others are stylish and look nice indoors. Finding a mix between the two is not easy, so here are my choices for chew resistant dog beds you can use both indoors and outdoors. This indoor/outdoor bed is made of heavy-duty fabrics that are also water repellent. It looks very much like a pillow and there are better choices out there when it comes to appearance, but you can hardly find such an affordable bed that is good for chewers. It comes just in one size, 30×40 inches. Dallas Manufacturing Co. Pet Bed is stuffed with recycled fiber fill that is eco-friendly. However, that doesn’t stop it from being comfortable and warm. It comes with a removable cover you can wash in your machine and it is also dryer safe. The zipper is probably the weakest point of this otherwise very sturdy bed. Slumber Pet Toughstructable Dog Bed comes in only two sizes, medium and large, as well as two colors, black and red. Also, it is not the best looking bed out there since it has a rather simple design. However, it is also extremely durable and stain, odor and water resistant. You can use this bed both indoors and outdoors and your pooch will love the comfort it provides. It comes with removable cover and liner, both of which are machine washable on a gentle wash cycle and in cool water. The bed is a bit noisy and the waterproof lining is a bit slippery. The zipper is not very durable as well. This bed is great because it deals with a common problem of other chew proof beds in a very creative way – the zipper is hidden so your dog can’t get to it. 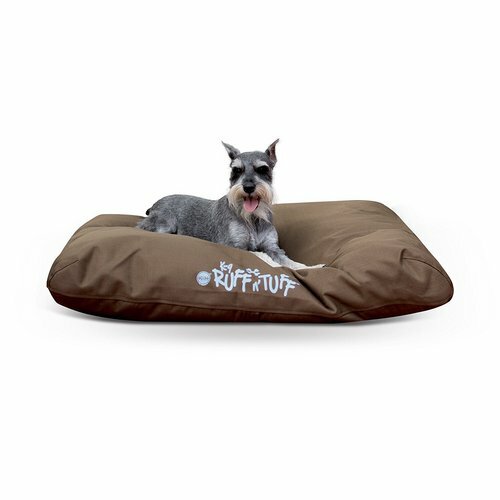 This makes K&H Pet Products K-9 Ruff n’ Tuff even more durable, although not chew proof since the bottom of this bed is designed with Velcro and that can be a problem if your dog decides to flip it over and try to chew it that way. The bed is made of polyester fabric and stuffed with polyfil. It is not as comfortable as memory foam, but your dog will still enjoy it. I like the way this bed looks and it is also a good choice for outdoor use as well. It is machine washable and easy to clean. What about those times when you need a simpler dog bed that you can easily take on the go? That’s where the best in our next section come in handy! Just like the toys from this manufacturer, Kong Chew Proof Dog Bed is extremely durable and sturdy. It is not indestructible, but it comes pretty close to that. This bed comes in just one size, 40×30 inches, and just one color, red. The design of the bed is better than most pillow beds, but it is also not that special in term of appearance. This bed comes with removable and reversible cover, which is machine washable, just like the bed itself. You also have a handle on top of the bed that allows you to easily carry it around and even use it outdoors. Dog Gone Smart Ninja Dog Bed is one of the more popular choices on the market, rightfully so. However, it is only available in one size at the moment and that is extra small, which is a bit of a disappointment. It also only comes in two colors. Ninja dog bed comes with a non-toxic cover made of ballistic nylon, which is a very durable material that is scratch and chew resistant. Another great feature comes from the hidden zipper that prevents dogs from tugging on it. Inside the bed is a high-density orthopedic foam that makes this bed comfortable. The cover is easy to clean and machine washable. This is another tough toys manufacturer that decided to try itself with making a chew proof dog bed. HuggleHounds Chew Resistant Bed is not indestructible but it is extremely durable nonetheless. It is one of the best looking beds on our list as well, with a very stylish and classy outer cover. This bed comes in three sizes and three colors, which is enough to find the right bed for your taste and your dog’s needs. It is filled with polyfil, while the outer material is an unspecified nylon. The bed is fluffy and comfortable, so your pooch will like it for sure. The zipper is very well stitched and tough to chew on. It is also advertised as waterproof, but that is true only for the inner cover. While pillow dog beds are convenient and easy to take with you just about anywhere, they’re not the most comfortable for dogs with achy joints. Let’s move on to some super comfy chew-proof beds for our senior dogs! One of my personal favorites and one of the best orthopedic beds overall, not just for chewers. This bed is available in many sizes, although you can get it only in one color – denim blue. Dogbed4less Dog Bed is filled with memory foam, which makes it very comfortable for your pooch. Great choice for dogs with bone and joint issues. This bed comes with an inner liner which is waterproof and very tough. It also comes with two external covers and everything is machine washable. Although this bed is very simple in design, he makes up for it with great quality and performance. This dog bed is filled with premium memory foam and your pooch will enjoy spending time on Titan Dog Bed without a doubt. It is very comfortable and orthopedic but it is also tough and chew resistant. That is due to the exterior cover made out of durable Oxford Material that can withstand your dog’s attacks. This bed also comes with a waterproof liner and a machine washable cover. However, it is only available in one size and color and it is not very stylish as well. 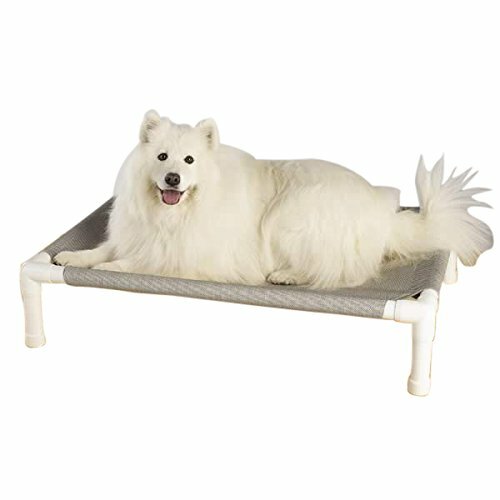 It is a bit expensive, especially when you consider some other similar options but it is a good bed for chewers overall. One of the best dog beds for chewers is made by DogonIt, a company that specializes exclusively in orthopedic beds for dogs. With 7 inches of memory foam, including three different types, this bed may just be more comfortable than yours! While the OMG dog bed does cost a bit more than most of the others on this list, the lifetime warranty (along with the other great features) makes it worth it! While all of the beds above are incredibly tough and virtually chew-proof, some of us have dogs who would probably chew right through to the middle of the planet if they could. We need something that’s almost completely indestructible! That’s where this next section comes in handy! Elevated or raised dog beds are probably the closest thing to indestructible dog beds as possible. They are also a great choice for hot weather since they help your pooch stay cool. This is one of the best dog beds for chewers on the market, period. It is extremely durable and sturdy and can withstand very rough dogs. You can get this Kuranda Dog Bed in six different sizes, ranging from mini to XXL and you can choose one of four different colors as well. I don’t usually like the design of elevated beds, but this one seems really stylish to me, especially when you consider all the different color options. High strength PVC frame can support dogs who weight up to 100 lbs, so choose another option if you have a heavier dog. This bed can be used both indoors and outdoors. It is very comfortable and can keep your dog cool and dry at all times. You can clean this dog easily and you don’t have to worry about it since it can withstand repeated cleaning. This elevated dog bed is constructed for furniture-grade PVC and it is covered with vinyl-coated nylon which is a great choice to use outdoors. It can keep your pooch safely above damp and cold surfaces and keep him comfortable at all times. It is actually really good or older or arthritic dogs since it provides great support. Pipe Dreams Elevated Pet Bed can withstand dogs as heavy as 150 pounds. It comes in four different sizes, from extra-small to extra-large. When you buy the bed you get one cover which you can remove and replace with other colors. It is also very easy to wash. This bed features a mesh and nylon grid which can keep even the furriest dogs feeling cool at any temperature. Not to mention how comfortable it is. It is best to use it outdoors, but you can also use it indoors as well. This bed also keeps mites, dust particles and insects away from your pooch. 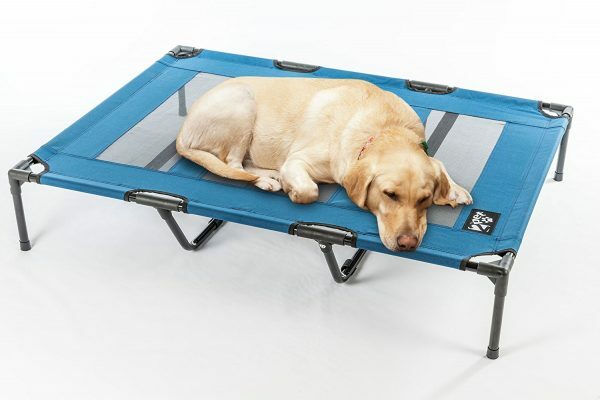 2PET Cooling Elevated Dog Bed is semi-orthopedic pet bed for joints support. You can only get this bed in one size, extra-large and one color, blue. It is also not very stylish, but that might just be me since I find elevated pets ordinary and not too pretty. The frame of this bed is made of steel, making it basically chew proof. It also means that this bed is a bit heavier than the rest of its kind. You can easily wash off this bed with a hose. Since the cover is nylon that means that this bed is waterproof as well. 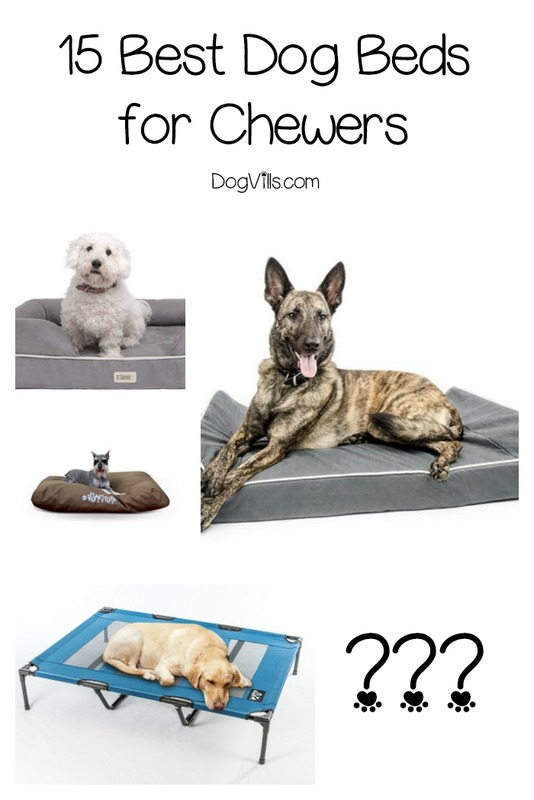 Which of these best dog beds for chewers is your favorite? Tell us below!